Share the post "Volatility doesn’t have to have negative connotations"
Volatility in the market happens frequently, and it is what makes it so difficult to trade as a living. This is why few people rely on this kind of work as a full-time income. Trading in market conditions like these is a tremendous task and one that can be quite stressful and taxing. However, there are ways to turn a volatile market in your favor. It is vital to understand the basic fundamentals of forex trading and to grasp the concept that there are differences in the volatility of forex. A quiet market doesn’t necessarily mean it is easy to trade. Forex volatility can be subdivided into two categories: implied and historical. 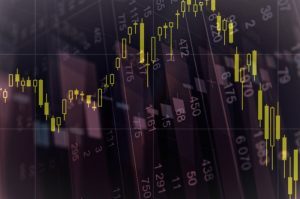 Historical volatility refers to normal price movements and actions over a given period, while implied volatility refers to any abnormal movements or price actions over the given period. Implied volatility exceeds the historical range in most instances. There are several forex trading tips that could assist you in turning a volatile market in your favor. It is a logical move in a volatile market to widen your stop loss and take profit targets. A volatile market is unpredictable and can result in a variety of price actions over the given period. In some instances, the market may gallop off in one direction without a possibility of going back. On other occasions, the market may go off in a direction, but the movement might be more haphazard, often retracing back periodically. Price ranges could move up and down very quickly over a period. In a volatile market, it is safest to increase your take profit and stop loss levels. That is the only way to make it out the other side. Any seesawing of the market could have a negative impact, and you can avoid this while reducing your losses and increasing your potential to make a profit. Leverage is useful for traders who have their sights set on making big profits with limited available capital, but it can also mean the destruction of your account. If you are making the adjustments to your stop loss and take profit margins, it would be wise to lower your leverage at the same time. In a volatile market, taking this action may actually retain your risk at the same level it would be during normal trade. Over the long-term, diversifying your portfolio will keep you in the race. Even under normal trade conditions, there is no way you can be completely sure of the result of a trade. Under volatile conditions, this is multiplied considerably. It is excellent trading advice to spread your available funds over several trade pairs and in a variety of directions; this will limit your risk and could produce regular profits. A volatile market is characterized by haphazard movements in every direction. It is unpredictable and may leave you confused about which way to go. Take everything into consideration, look at the bigger scenario, and refrain from listening to the haze in the smaller time frames. Overtrading in the smaller time frames in a volatile market is as risky as high leverage. If you have too many trades going at the same time, it becomes difficult to manage them, especially with the market moving every which way without warning. There is no rule that states that you must take every opportunity to trade. It is important to avoid trading when the time calls for it. Be patient and wait for the right opportunity to make an appearance. After all, you are trading to make a profit. If you are uncertain about the market direction, refrain from trading. In a volatile market, it is risky to chase after prices. Among the many existing investment types, value investing is a unique choice that focuses closely on the innate value of.